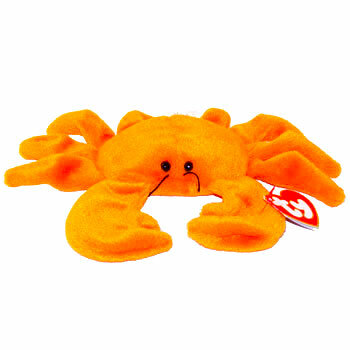 Digger is made from an orange material with black button eyes and black thread antennae. He has eight legs and two large pincers. Digger was released on 25th June 1994. There were two variations of Digger. He was released in this orange colour and as a red version. This orange variation was the first release and as such, is harder to get hold of. The red version appeared in 1995. The orange Digger retired on 3rd June 1995.